Developers sold 1,054 units last month, more than double the 455 in February, the Urban Redevelopment Authority said in a statement Monday. 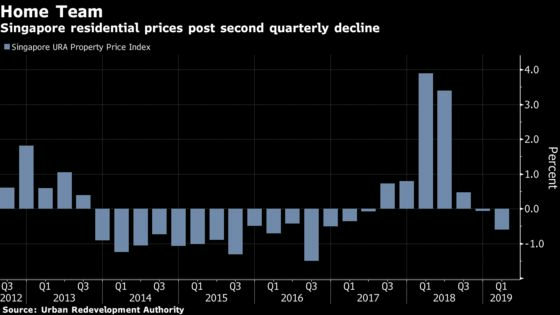 Residential home prices decreased for a second straight quarter in the three months ended March 31 after the government added cooling measures in July, helping to buoy demand. The highest-priced unit was a penthouse apartment at Boulevard 88, a luxury development near the famous Orchard Road shopping precinct, that went for S$28 million, or S$4,927 per square foot. That’s the highest price per square foot for a new unit since June 2013, according to OrangeTee.